UMX Convenient Digital Camera Wrist Straps with Decorative and Functional Loops. We are leading manufacturers, wholesalers and suppliers of digital camera wrist straps with decorative, functional loops. A variety of selection of digital camera wrist strap material, colors or imprinting are available with different style of metal or plastic hardware attachments. You can add variety of digital camera supplies on the loop by using our digital camera universal strings. We keep large quantity of black and gray color digital camera wrist straps in stock. Great Camera Technology Produce Great Decorative Wrist Straps. 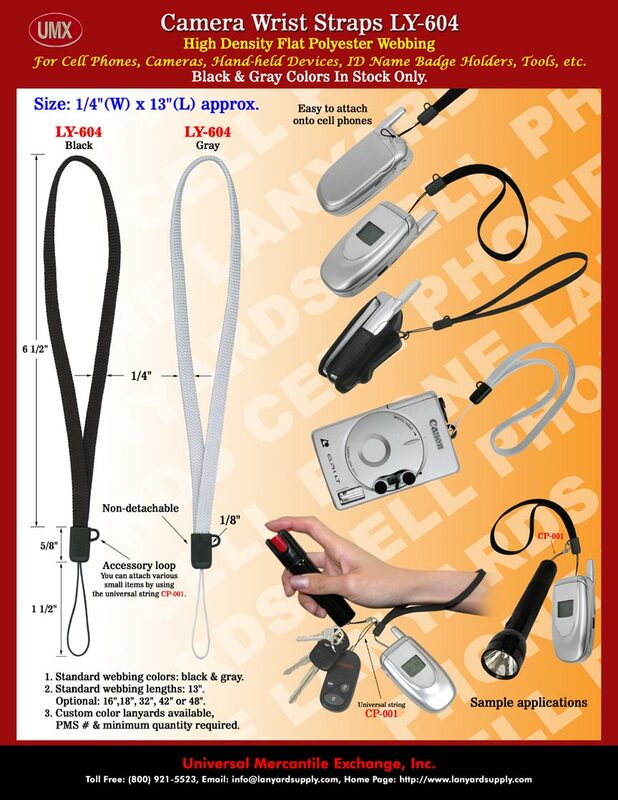 You are viewing Lanyards > Strap Supplies > LY-604 Plain Digital Camera Wrist Straps For Wrist Wear.